Our history at Great Plains goes back to 1991. We decided long ago to partner with supply partner and great window company that complements our mission and shares our values. For over 110 years Anderson Windows has delivered industry-leading processes and quality homeowners have come to trust in every window and patio door produced. Anderson’s success is built on a winning combination of time-tested product design and European engineering principles with a focus on energy-efficiency and sustainability. At Great Plains Windows and Doors, we have applied these same principles to our window and door installation methods and continuous customer service to our customers. We know that long-term success is determined the customer experience and we are keenly focused on one specific objective: Customer Satisfaction. Anderson Windows has been a leader in the Window and Door Industry by making a difference in our community. This is what the Anderson Windows Difference is all about. Anderson’s Core Principles are the driving force behind the Anderson Difference, but there are many additional benefits to working with a partner so committed to long-term performance. 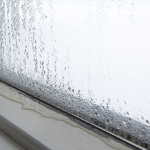 When you choose Anderson, we not only provide you with the products we come to be known for, we support them with exceptional window repair services. 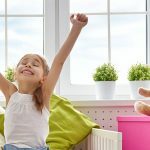 New windows and doors can be a major investment, but if you choose wisely, you’re rewarded with better light, comfort, added security and energy efficiency. When it comes to making such an important decision, make sure you go with a brand you can trust. With Anderson, you’re not just choosing replacement windows and doors. You’re choosing the most trusted name in the industry. For more than a century Anderson has been a leader in protecting the environment. 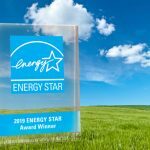 It’s part of our commitment to sustainability and responsible stewardship providing homeowners with long-lasting, energy efficient windows and doors. Anderson has put the same industry-leading quality and standards homeowners have come to know and trust into every replacement window and patio door. With Great Plains Windows and Doors along with the Anderson brand, you get the replacement solutions you need, the comfort, low maintenance, and aesthetics you desire and the confident install your home deserves. Anderson’s history is not just about doing things right and delivering unparalleled quality windows, but it is very specific to place. Hans Anderson put his stake down on the bank of the St. Croix River just downstream from Stillwater, MN. Initially, it was the best transportation route for getting logs to the mill, but over time, the river became a symbol for the sustainable mission of Anderson. As part of the National Wild and Scenic Rivers Act of 1968, the St. Croix River was selected and listed as a Wild and Scenic River. Since that time, Anderson has been a major supporter of the preservation efforts of the river. We partnered with Anderson to bring you unique replacement window options from all of Anderson’s line of top-performing windows, but don’t take our word for it. Here’s what Consumer’s Digest says about Anderson 400 Series Replacement Windows winning the Consumer Digest Best Buy Award. “Anderson 400 Series windows have been named a Best Buy for replacement windows by Consumers Digest.